With my fellow Cebu bloggers, I got invited to a meet-up two weeks ago with Jeman Villanueva of Orange Magazine TV at the Mango Avenue branch of Greenwich Pizza & Pasta. Jeman was vacationing in Cebu and it was nice of him to arrange a little gathering during his visit. 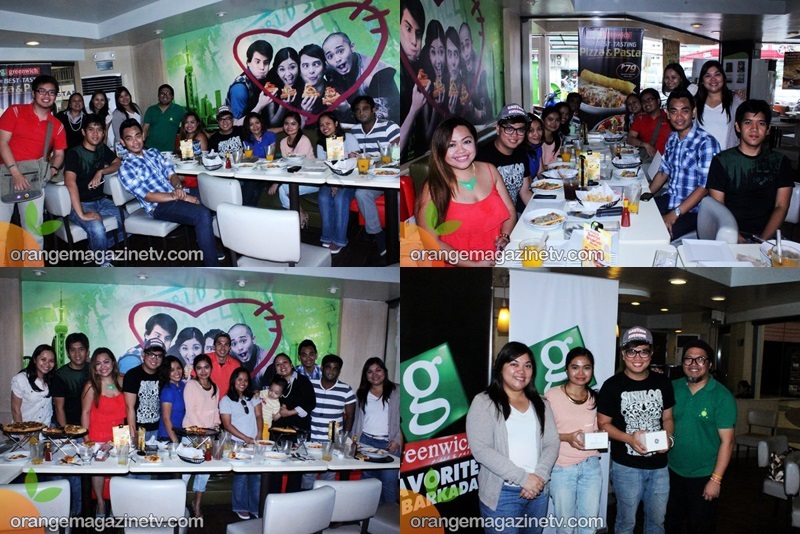 During this get-together, we also had the chance to be acquainted with the Marketing Team behind Greenwich. 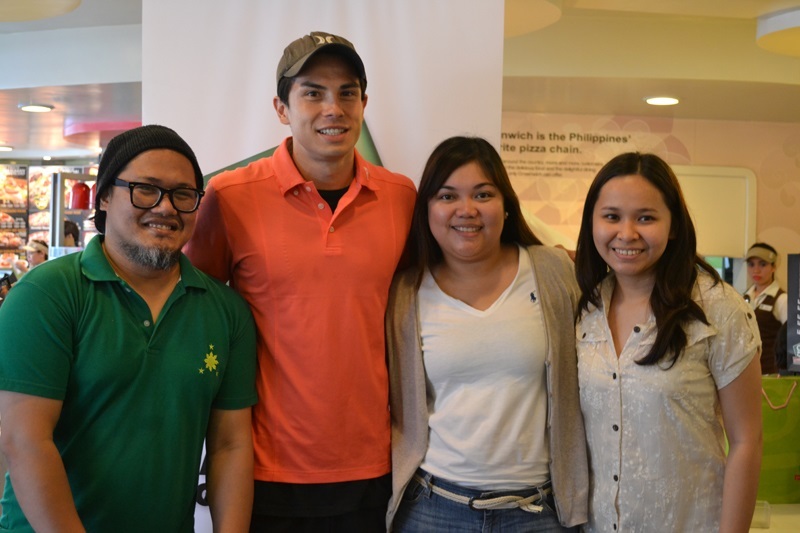 In the photo are Jeman, Vince Canizares (the Pizza & Pasta chain's endorser,) Cookie and Maf of Greenwich. We spent the afternoon chatting and socializing while enjoying Greenwich's latest offerings. 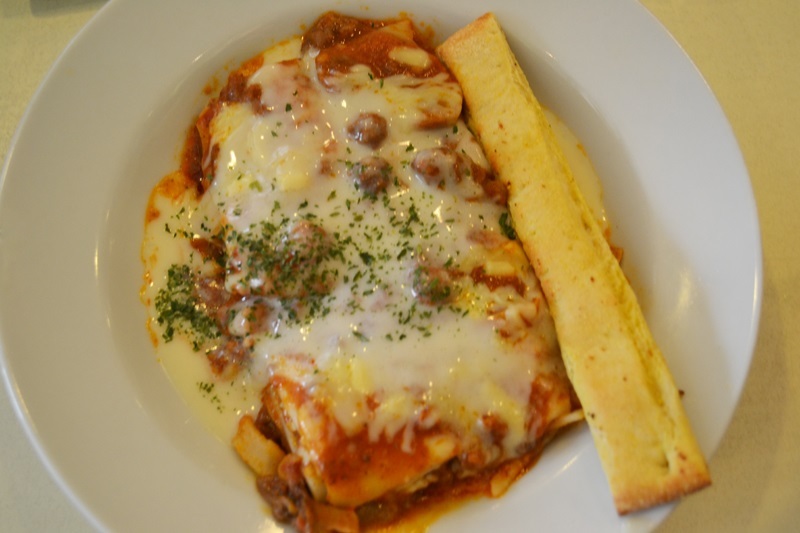 I have always liked their lasagna and I'm glad they made their best-tasting pasta even better. The Greenwich Lasagna Supreme now has thicker noodles and chunkier meatsauce, complemented by three types of cheese and topped with a rich and creamy white sauce, served with one garlic stick. The best part is it's value for money. The snack size is only P79 and the full size is P99. I'm sure you'll agree with me that aside from their pasta dishes, their pizza is truly delicious. My favorite flavors are Classic Pepperoni and the Ultimate Special Overload pizza (top right photo) which has 13 mouth-watering toppings loaded to perfection: beef, bacon, pepperoni, salami, a sprinkle of fresh veggies including mushrooms, olives, red and green bell pepper, onion and minced garlic. 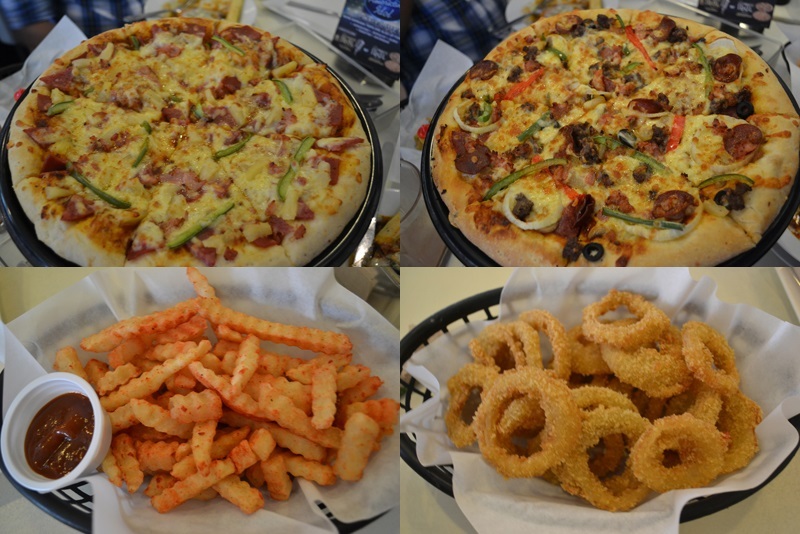 For you Hawaiian pizza lovers out there, you'll surely want to experience their Ultimate Hawaiian Overload pizza (top left photo) which consists of two kinds of cheese― Mozzarella and Cheddar, glazed pineapples and two types of premium meat― ham and bacon. Complete your meal with side orders of pizza fries, onion rings and a refreshing glass of a Mango pearl cooler. You guys really have to try this drink. 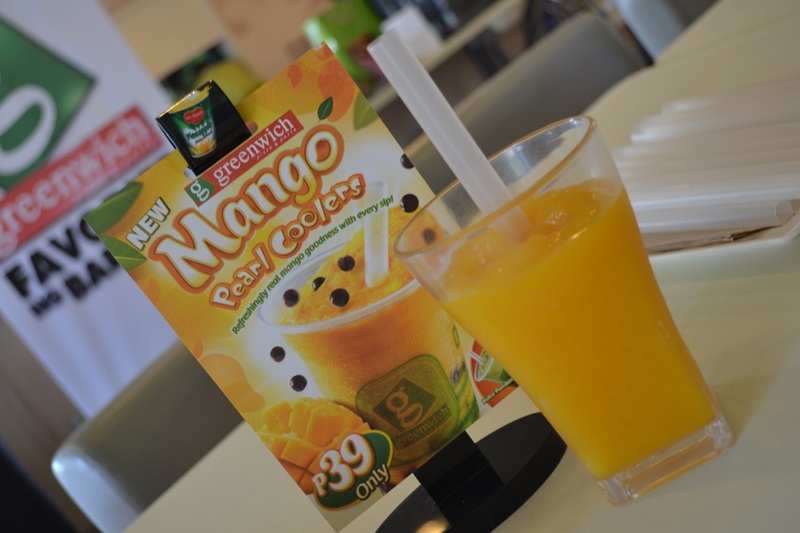 It tastes so good and it's the perfect thirst quencher! At the end of the event, Marco and I were lucky to each win a camera, Create by Jason Wu. I'm such a fan of the fashion designer and you can clearly see his trademark style in this collaboration with GE. 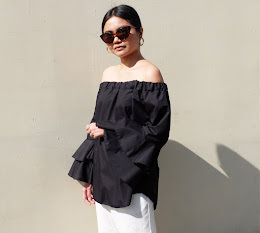 More details of my outfit in this post.